We engage with our environments by nature. Our moods reflect our surroundings, lifting when we surround ourselves with vibrancy and sinking when the world around us turns drab. As our productivity often stems from our mental state, office aesthetics take on a greater importance as not just a stylistic statement, but a tool for employee inspiration. 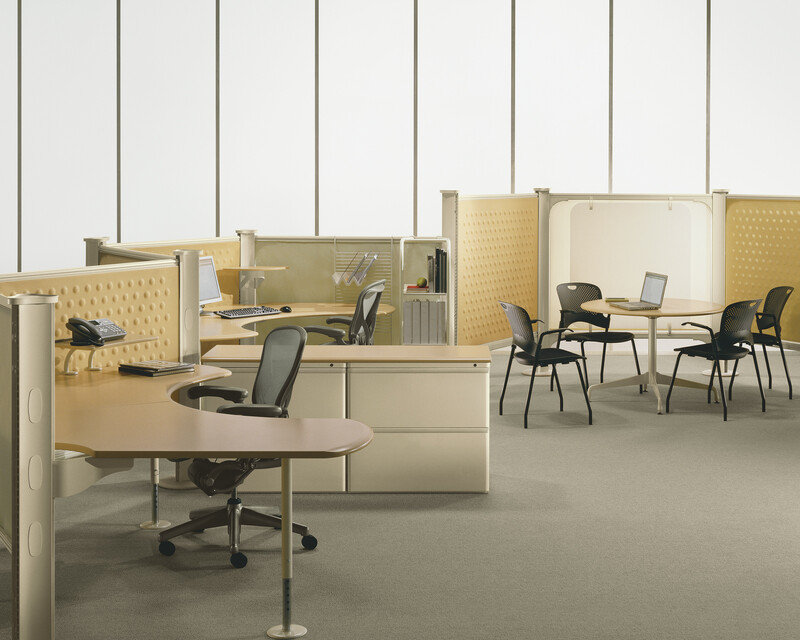 Modern executive office furniture designers understand that it need not be a matter of form over function. Instead, form equates to function as a means to bolster organization, lift employee morale, and buoy productivity. Executive seating and other ergonomic features can also improve the health of your workers while encouraging them to spend time in collaborative endeavors within your workspace. Office aesthetics provide more than a pretty view. A pleasant office design affects everything that happens within the walls of the workplace, from the first impressions made by clients and potential talent to the work done within the office. While many look on a refresh of a workplace design as a drain on resources, savvy business owners recognize the relevance of the investment. Interesting, attractive decor coupled with functional, modern executive office furniture encourages employees to remain mentally engaged with their surroundings. Boring, uninteresting aesthetics inspire no one, nor do they invigorate employees to return to their duties with a new energy. Interested employees possess an undeniable excitement for their work that shows in whatever they produce. Technology has changed the face of the modern office. Employees have more options than ever as they choose how to complete their tasks. Mobile computing especially has set many employees at a remove from the day-to-day happenings in the workplace. Yet this presents a difficulty for spontaneous collaboration between workers. Employers must now present compelling reasons for their best talent to perform their daily tasks within the workplace, instead of at a comfortable and well-lit cafe. Executive seating provides ergonomic comfort for long work hours, and personalized storage options can support productivity with convenient placement of equipment. High-end executive office furniture no longer means imposing tables or heavy desks that weigh down a workplace’s appearance. Instead, these pieces can refresh any space while offering a solid investment for hard-earned resources. Benefits in employee productivity and contentment only improve the returns on the effort put into office aesthetics. executive office furniture no longer means imposing tables or heavy desks that weigh down a workplace’s appearance. Instead, these pieces can refresh any space while offering a solid investment for hard-earned resources. Benefits in employee productivity and contentment only improve the returns on the effort put into office aesthetics. Benhar Office Interiors realizes the impact your executive office furniture and office aesthetics can have on your company’s success. Let our knowledge and experience guide you as you consider a small office refresh or a complete redesign of your company’s workspace! Contact us online, or call us at 212-481-6666 for more information on how we can help.